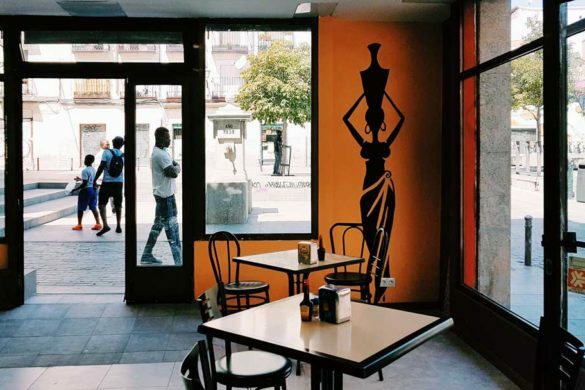 One end of Calle Cabestreros has Baobab Senegalese, Antigua Taquería and Lopéz y Lopéz pizzeria, and it opens out onto the buzzing 24-hour Plaza Nelson Mandela so you’d be forgiven for not paying much attention to the opposite end. 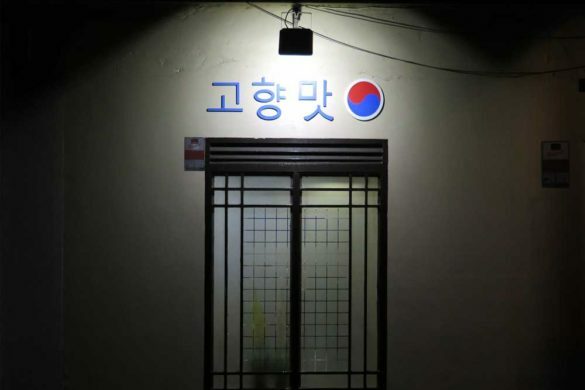 But illuminating the dimly lit end of the street with a distinctive dusk-pink glow is a little Cuban bar blasting Caribbean music through its sealed windows. 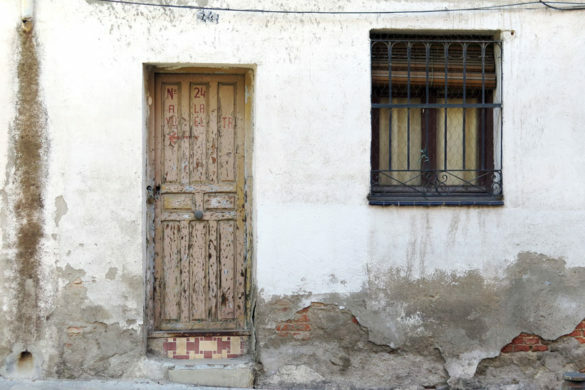 Step inside through the angled doorway and be met with local Latinos moving their hips to a YouTube playlist made by the owner, Jesús. 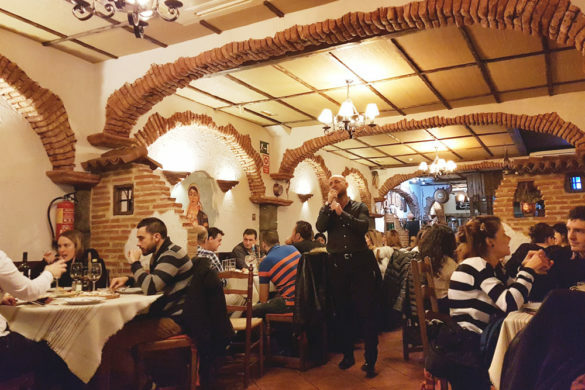 The space is small – there are around six tables lined up along the side wall, but there’s plenty room for a few pairs to get up and dance. 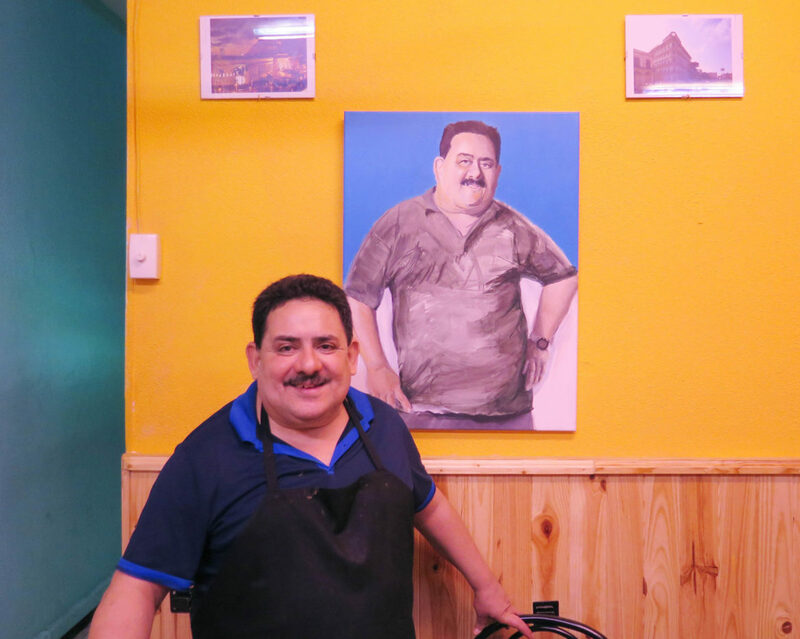 Amongst the photos, maps of Cuba and other memorabilia hung on the walls, there’s a jolly portrait of Jesús. 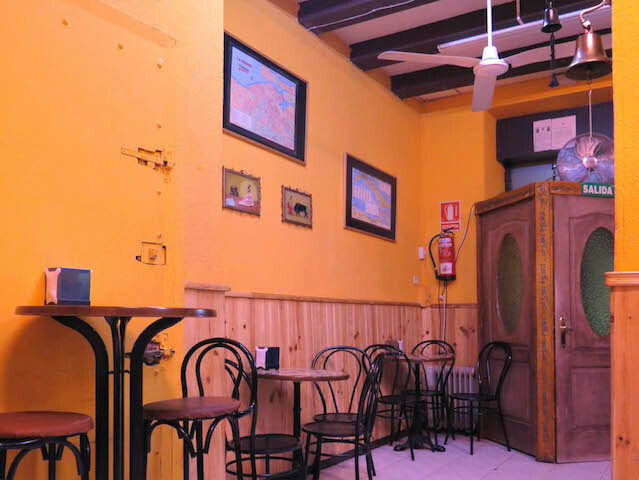 Opposite this portrait, in a niche inside the pillar, stands a small shrine with two burning candles, an alcoholic offering and a cup full of coins. 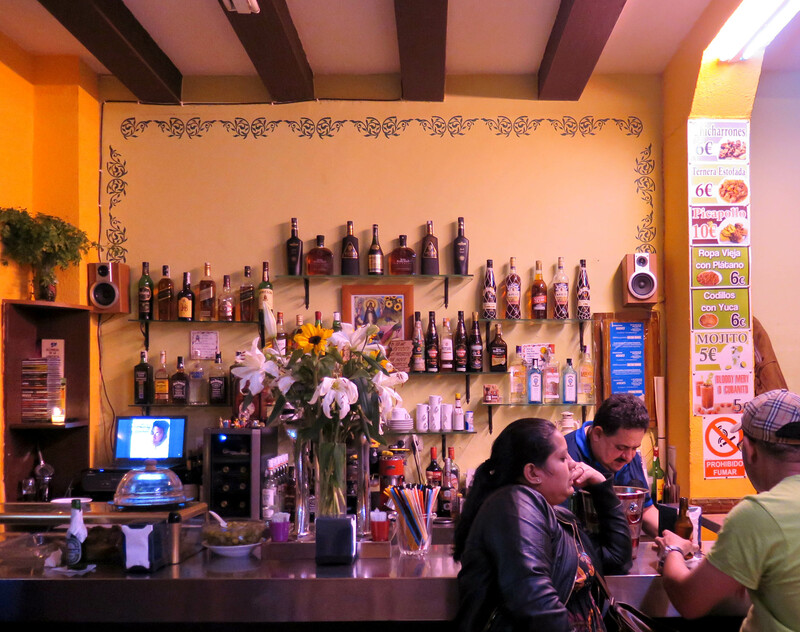 On the bar, Jesús always puts out a fresh vase of flowers, and the wall behind is lined with an impressive selection of world spirits. 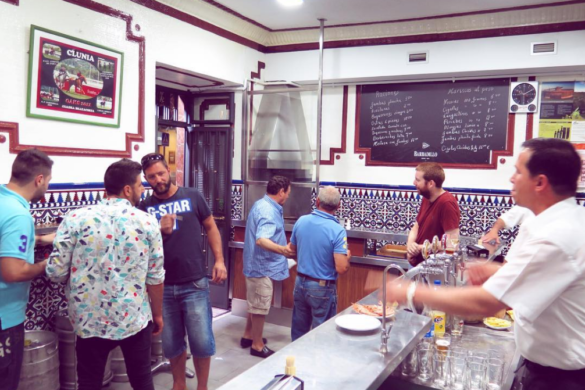 Like all great bars, El Rincón de Marco is decorated very personally. It makes the place unique and homely – you almost feel like you’re eating in someone’s kitchen, not a restaurant. 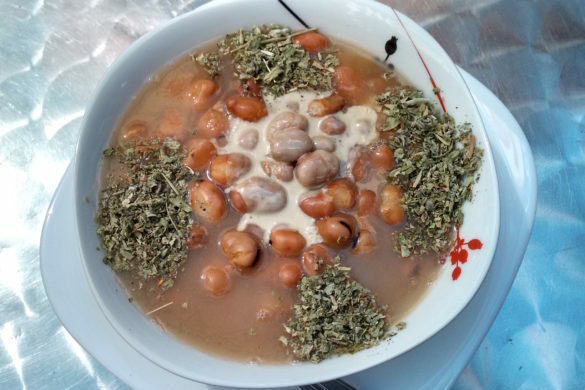 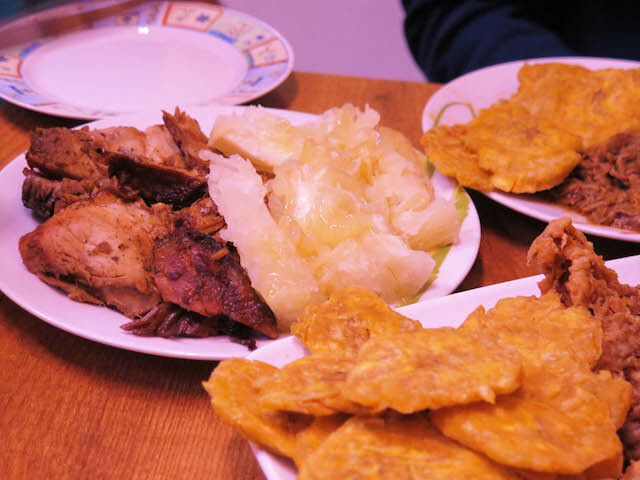 Jesús puts on a simple selection of typical Cuban dishes. 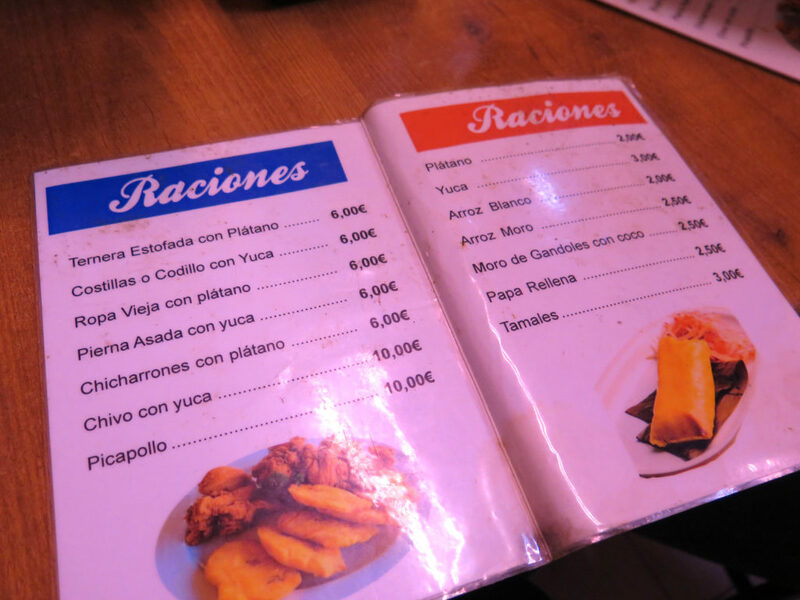 The laminated menu of raciones does the job and nothing more, but there are also photos of the food on the wall by the bar to help. 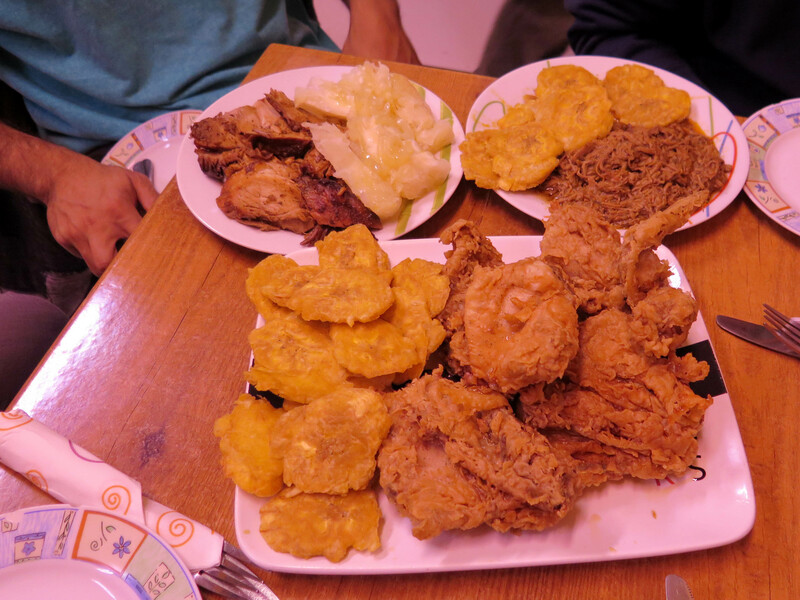 In the photos below, we have picapollo (battered and deep-fried spicy chicken wings), ropa vieja (a delicious and tender dish of moist shredded beef), pierna (slices of marinated Cuban pork), the amazingly gooey yuca, and arroz moro (Cuban-style rice with black beans) – and every plate came with a generous pile of patacónes (slices of savoury green plantain). 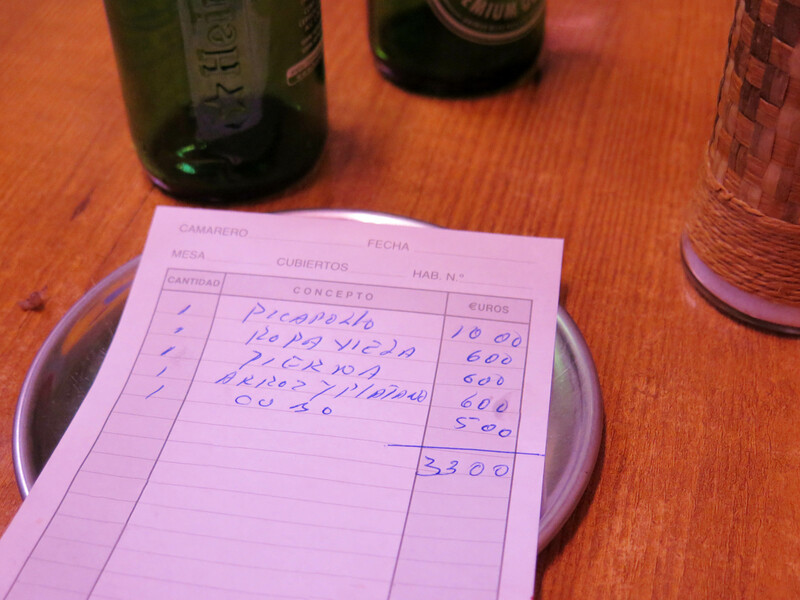 Dinner for five, including an good old cubo of five botellínes, came to €33 or just €6.60 each. 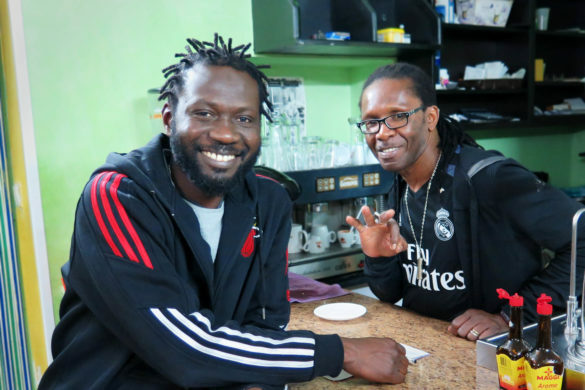 Who doesn’t want a night of amazing Cuban food backed by Caribbean music and spontaneous dancing? 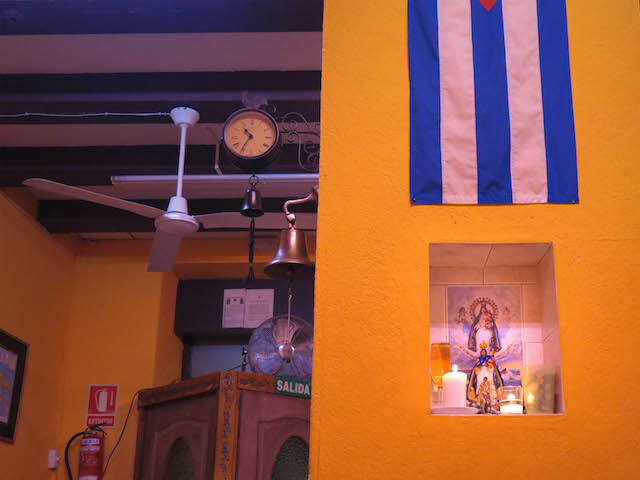 Let El Rincón de Marco transport you to Cuba in mind, hip and stomach, and inspire you to visit Cuba itself at the next earliest convenience.